One of the most common sports jokes is "What are the last two words of the American national anthem? Play ball!" Historians don't agree on precisely when the sports-anthem tie began, but everyone acknowledges that it started with baseball. 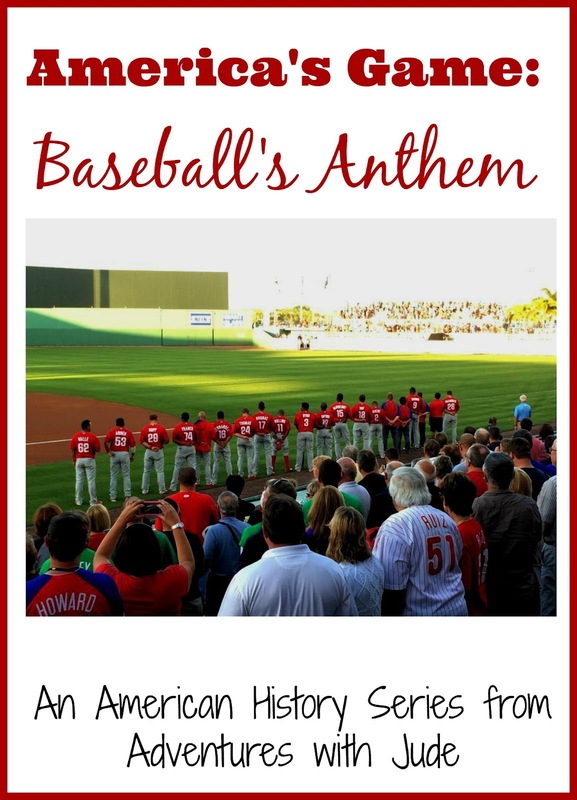 Some say that baseball itself was responsible for helping Francis Scott Key's stirring song to be officially ordained as our National Anthem in 1931. Performed at games regularly as early as Opening Day 1897, it was during Game 1 of the 1918 World Series that the two became forever intertwined. 1814 copy of "The Star-Spangled Banner,"
the first print edition to include both music and lyrics. On Sept. 4, the day before the first game of the Series, a bomb had ripped through the Chicago Federal Building, killing four people and injuring 30. The Industrial Workers of the World were thought to be behind the attack, retaliating for the conviction of several IWW members on federal sedition charges. Domestic terrorism didn't exactly generate interest in a lighthearted day at the ballpark. For the opener at Comiskey, newspapers optimistically predicted a sellout crowd. When barely 19,000 showed up, a Chicago Herald-Examiner headline proclaimed, "Scalpers Are Making No Money!" The glum crowd in the stands for Game 1 remained nearly silent through most of Babe Ruth's 1-0 shutout victory over Chicago's Hippo Vaughn. Not even the Cubs Claws, the forerunners to Wrigley's Bleacher Bums, could muster any real enthusiasm. As Game 1 of the series unfolded at Comiskey Park in Chicago, there was not much news from overseas to celebrate, either. World War I raged on. A French-led charge the day before resulted in massive American casualties. American General John Joseph “Blackjack” Pershing refused to allow his army to be controlled by the French any longer and planned his own attack for the next morning - the day of Game 1. The American commander took a page from the Native American warriors’ playbook. 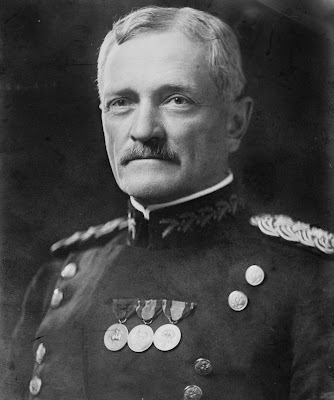 He ordered the men to use the cover of night to creep out of their entrenchments and head towards the German lines. When they got within 100 yards of the Germans, the soldiers laid quietly and waited. By morning, several hundred Americans were as close as 20 paces. When the morning bugle sounded the charge, the Germans were caught by surprise, and the attacking Americans were victorious. 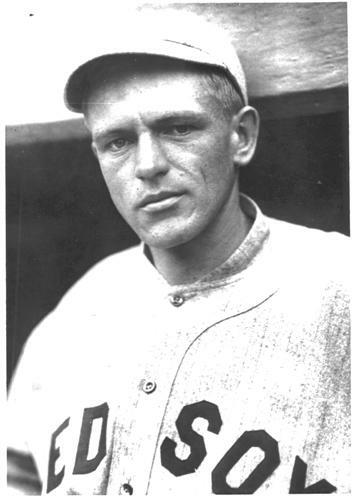 Red Sox third baseman Fred Thomas, furloughed from service at the Great Lakes Naval Training Station in Chicago, was playing. (After the Red Sox went through nine third basemen during the season, the team owners asked the Navy to release Thomas for the Series.) During Game 1's seventh-inning stretch, Thomas stood at his usual position on the diamond and waited for the Cubs to bat. As the news of victory came in, the military band began to play the Star Spangled Banner. Upon hearing the opening notes, Thomas immediately turned to face the stadium's flag and snapped to attention with a military salute. The other players on the field followed suit, in "civilian" fashion, standing with caps off and right hands over their hearts. The crowd, already standing for the “seventh inning stretch,” showed its first real signs of life. The fans joined in a spontaneous sing-along, haltingly at first and then finishing with flair. The scene made such an impression that The New York Times opened its recap of the game with an accounting of the impromptu singing, not the box scores and highlights. The Cubs front office realized it had witnessed something unique, and for the next two games, it had the band play "The Star-Spangled Banner" during the seventh-inning stretch. By Game 3, an enthusiastic crowd of 27,000 was in attendance. Not to be outdone, the Red Sox ratcheted up the pageantry when the Series relocated to Fenway Park for games four through six. Boston moved "The Star-Spangled Banner" from the seventh-inning stretch to the pregame festivities, and the team coupled the playing of the song with the introduction of wounded soldiers who had received free tickets to the day’s game. After the war, the song continued to be played at games, but only on special occasions like opening day, national holidays and the World Series. During World War II, baseball games again became venues for large-scale displays of patriotism. "The Star-Spangled Banner" was played before games throughout the course of the war. A 1931 Congressional resolution named the song as the official national anthem, in part due to the popularity bolstered by baseball. By the time the war was over, the pregame singing of the National Anthem had become cemented as a baseball ritual and other sports leagues eventually adopted the practice as well. 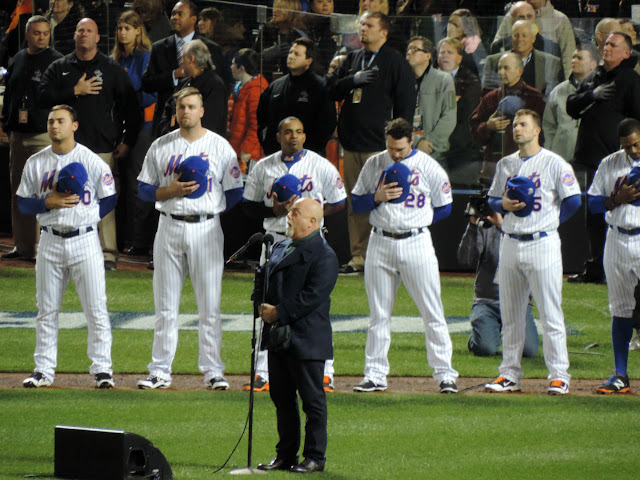 From then on, the National Anthem has been performed at every major league baseball game played in the United States. While sometimes a military band will play, it is also common to have hometown singers (a student choir, or a "local-gone-famous") at regular games, while often big-name American singer carry out this tribute to America during the nationally-televised playoff games. The Star-Spangled Banner has signaled the start of a baseball game for over a century. 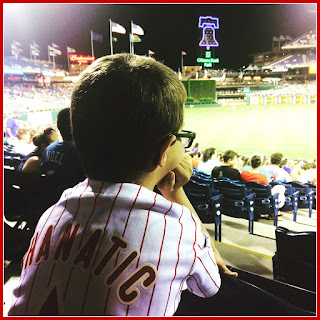 At first, it was a traditional mid-game tune, but wartime patriotism made it a staple that to this day is the cue that the game's first pitch is about to be thrown. The 1918 World Series forever ordained the inspiring hymn as Baseball's Anthem.